So that’s where all of our money went? In a startling report, the WSJ indicates that the cost of an average health plan is approaching half of an average family’s income. But it’s not, of course. The reality is that few people actually pay $12,000 a year for their health plan — the majority of that cost is subsidized, typically by an employer. 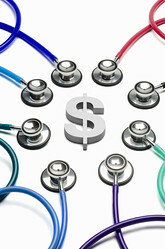 Nevertheless, an increasing chunk of everything we buy is being allocated to health care costs. But don’t worry. Help is on the way. I have it from a very reliable source that Obamanomics will “solve” this problem, once and for all. This entry was posted in General and tagged health care cost on 18/11/2008 by the HSA king.